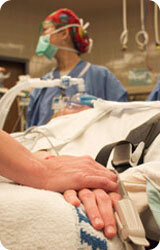 Welcome to the clinical research page of the Department of Anesthesiology & Pain Medicine. As we know, the National Institutes of Health defines clinical research as any patient oriented research and here at the University of Washington, we are committed to conducting high quality clinical research that translates to both high quality patient care and patient outcomes. The patient volumes and the breadth of conditions clinicians encounter provides us with the opportunity to conduct high quality clinical research with the goal of improving public health. 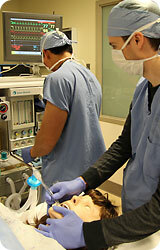 All 4 UW Anesthesiology clinical sites (University of Washington Medical Center, Harborview Medical Center, Seattle Children's and the Veterans Administration) are active in the conduct of clinical research of various types. 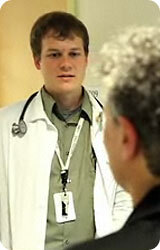 Faculty in all academic tracks lead and actively participate in clinical research and so do our residents and fellows. Funding for clinical research includes federal, foundation, and industry sources, and includes areas such as pain and neuroscience, outcomes, medical education, and genomics and mitochondrial diseases.